Are you all sitting down? Well, you can now actually stand up. Walk around. Drive your car. 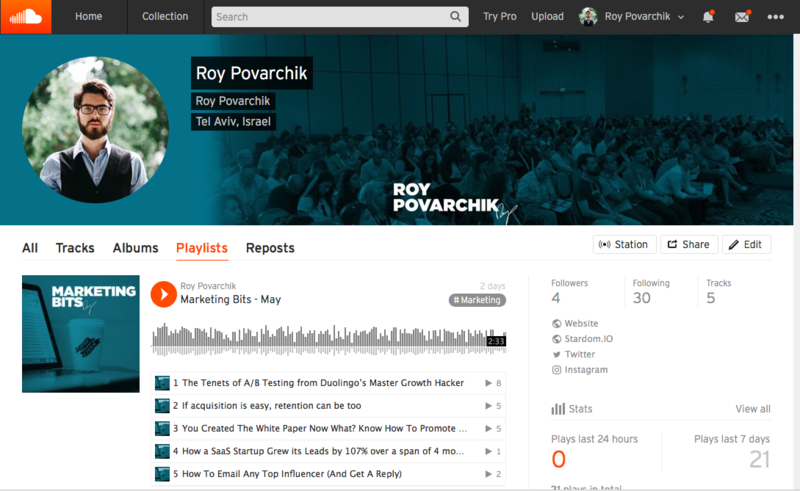 Go to the gym – and still enjoy awesome content by top marketing and growth experts. Every week or so, you’ll get a new batch of audio summaries – of the top content I’ve been reading (sometimes producing) lately. You’ll get access to tens (and hundreds) of summaries, of hand-picked, professional articles with all the latest tricks, techniques and growth methods. And it’s all free – on our SoundCloud channel. If you’re subscribed to even 3 newsletters, I bet you don’t get time to read all the articles your getting. There’s so much content out there, that is very hard to actually be able to find the best content, and having time to read and consume it. Our reading time is shrinking daily. At some point, you just want to get the best content, go through it, see if it’s interesting to you and then spend time really reading into it. Your weekly reading time has reduced so much, that podcasts have become the next big thing in marketing – cultivating on your ‘no-screen’ time (driving, gym etc.). 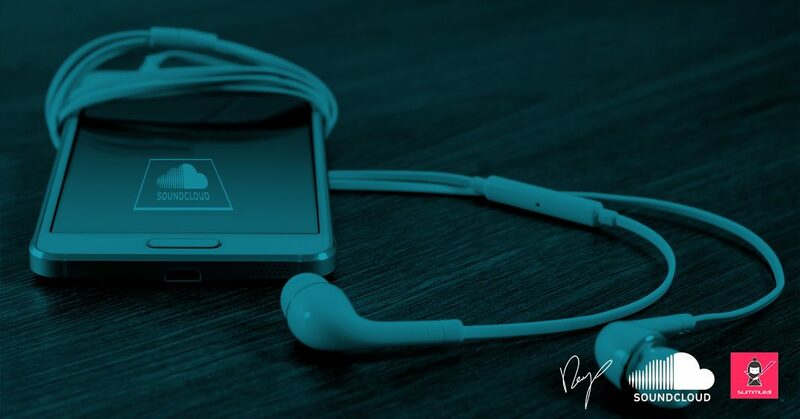 Many marketers, in an attempt to win over the audio format (and yes, you should focus on that as well) have started some amazing podcasts. The only thing is, that when you create content that is audio first, its nature is very different than ‘text-first’ content. And it makes total sense. ‘Marketing Bits’ aims to achieve something a bit different, we want to help you to easily get value from all the best-written content, in an audio format. Instead of spending 11 minutes reading an article you think might be interesting, you’ll be getting 2-3 minutes audio bites with the main points and value from the article. Then, you can either go and read the full article, or get the point and move one – saving 5-7 minutes per article (multiply it by the 20 articles waiting in your inbox, and you’ll see how meaningful that is). How do we get our quality summaries? 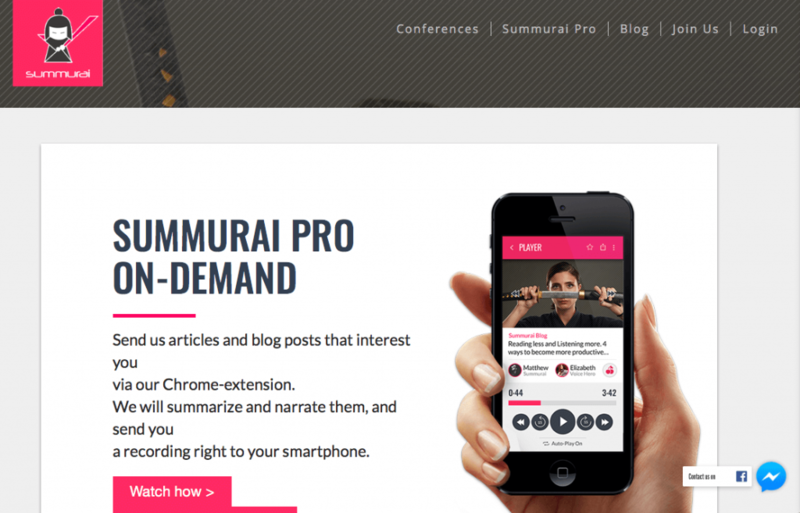 This is where I’m excited to introduce you to Summurai, A service developed by UX mastermind Tal Florentin. Summurai is a service that lets you submit articles to the platform, a team of really smart people read through the articles, write their summaries based on the essences of the article. Their summaries are forwarded to a team of people with great voices who know how to narrate a story compellingly – and that ends up being your short audio summary. ‘Marketing Bits’ is the first collaboration between Summurai and me, out of many to come in the next few months. Before launching the channel, we’ve sent in out to some beta testers to get their reviews. Honestly? There’s some work that still needs to be done (The craziest example, is that we get feedback that our current narrater sounds too much like a bot – the thing is, that it’s a real live person!) and some other fine tunings. We will get to that as times go by. But the content – is amazingly great. Go to our SoundCloud channel right now (or click below), listen to the first few episodes, it’s free and easy to use (Web, Mobile, whatever you choose). If you like the concept and the content, please don’t forget to follow our channel and share it with colleagues. In the comments, give us all you got – what do you think of ‘Marketing Bits’?